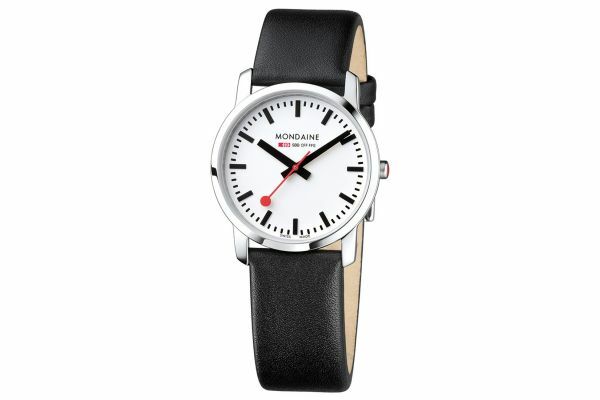 Ladies Mondaine Simply Elegant classic black leather strap watch with a round polished case. 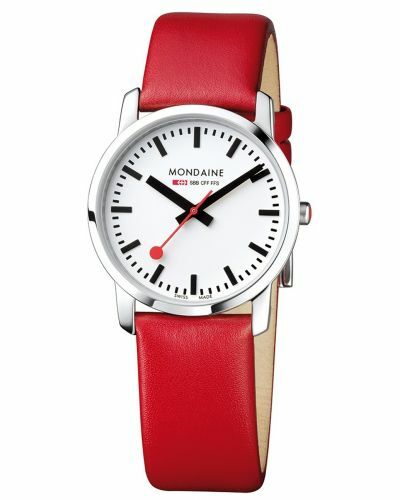 Has the classic Mondaine crisp white dial with bold black markers and striking red seconds hand. 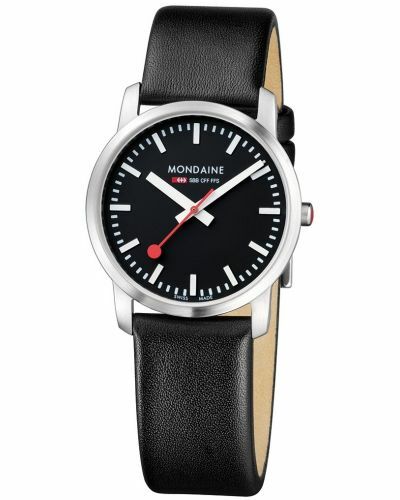 Features a stunning black leather strap with a polished stainless steel buckle. 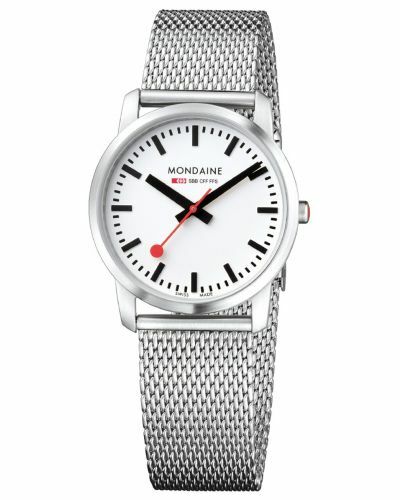 Powered by a quartz movement and comes with the Mondaine 2 year guarantee.